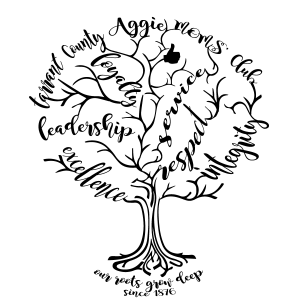 Our Student Services Committee provides Study Kits to our Aggies during finals. These kits are filled with goodies and love by our Aggie Moms to help our Aggies get over the blues of finals. Members have the opportunity to purchase these Study Kits as a way of sending a little care package to their Aggies twice a year. 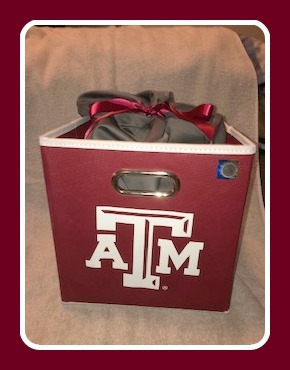 These Study Kits can contain a variety of goodies including cookies, crackers, chips, popcorn, candy, microwavable food item, bottle of water, and some type of A&M product to keep such as a lunch kit, umbrella, beach towel, etc… The Spring 2019 Kit will feature this A&M Storage Cube filled with goodies so you will not want to miss out on it! 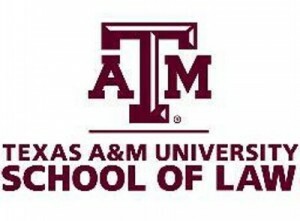 The Fall Study Kits will be filled and handed out at the November monthly meeting so you can give them to your Aggie over Thanksgiving break. If a parent is unable to attend the November meeting, you will need to make some arrangements for another Mom to pick it up for you. 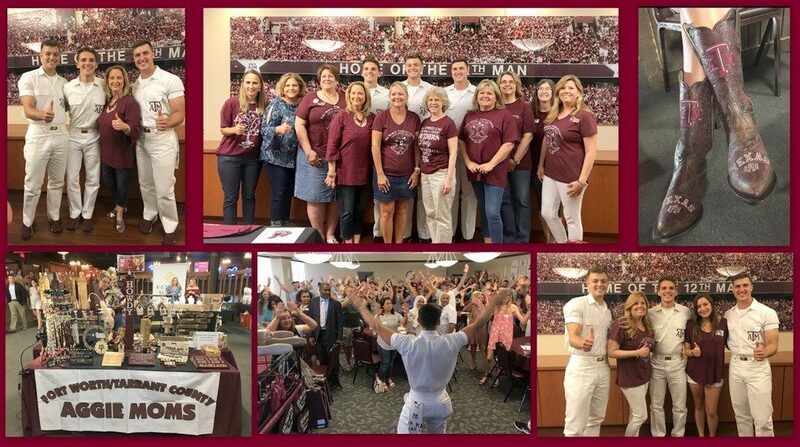 The Spring Study Kits will be delivered to College Station in Apr/May and handed out in the MSC on a specific date that your Aggie will be notified. Photos are taken of each Aggie picking up their kit (and posted on our FB Page) as they really enjoy receiving them. It is a wonderful time and the look on their faces is so much fun! The Study Kits are $20 each and can be ordered by the semester or the year. You can order kits at the monthly meetings or print the Study Kit Order Form attached in the link below and mail it to the address on the bottom of the form with a check payment by the posted deadline.